Friday started with a run to the DMV which turned out better than expected, and then we set off to have a little fun on our first day of freedom. 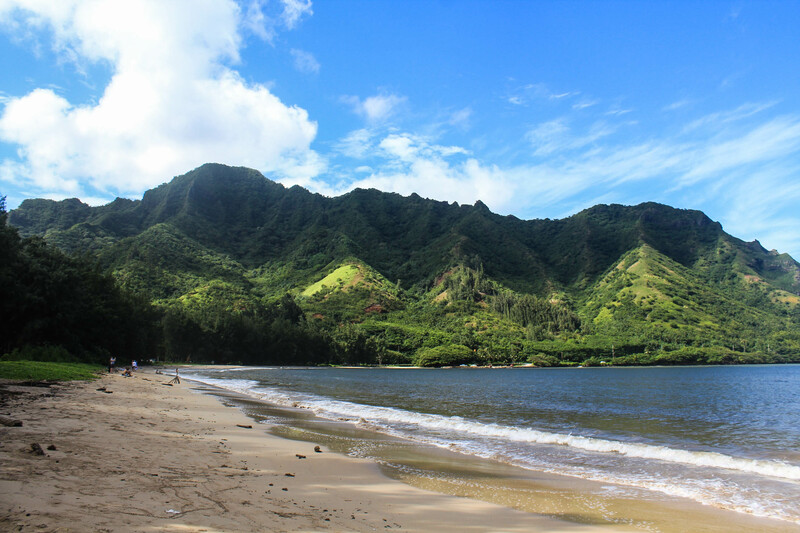 We drove up to Ahupua’a ‘O Kahana State Park where there are a few trails we haven’t hiked yet. We decided to go for the shorter but steeper trail today, Pu’u Piei. The trail started off extremely muddy, and we trudged through the flat, wide path trying to avoid the bigger puddles. As we began gaining elevation, the trail became less muddy. Initially there were a few signs, but soon the only way to follow the trail was by looking out for the red or yellow surveyor’s tape tied to trees. Being in a state park, I was expecting a little more from this area, but there really wasn’t any difference between this trail and any other “maintained” trail on the island. 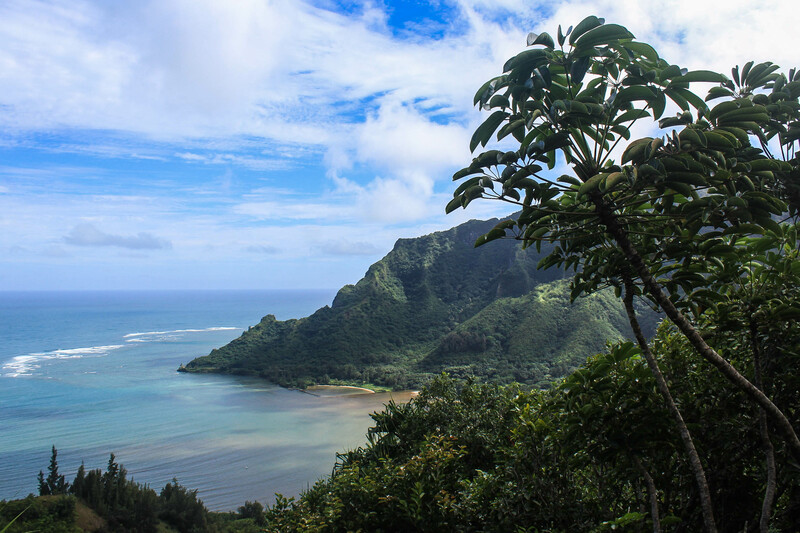 After a few switchbacks, the trail came out into a clearing where we enjoyed our first views of Kahana Bay and Pu’u Manamana. We walked up a narrow path beside some pretty bad erosion, and soon were back under the shade of trees and hiking up a very steep slope. We worked up quite a sweat, but were making pretty good time despite how steep the trail was. It was around here where I remember Curtis asking “How are you doing?” and the look on his face told me that we were feeling the same way…this trail wasn’t what we were hoping for, and we were becoming disappointed. However, we decided to press on as far as we felt comfortable. The trail weaved its way around many trees with big roots. I could see the steep drop-offs on either side of the path, but wasn’t bothered by them for a while because there were so many trees around for support, and they made the trail seem wider than it really was. However, the trail eventually became very narrow — just a foot wide — and I knew I had had enough. Curtis decided to go ahead some more just to see if things would improve or if we were near the ridge with better views, but returned saying it only got worse and we weren’t close enough. Not only that, but he now knew how bad going downhill would be. As I looked around, I saw so many downed trees, and began to wonder how often trees fell or landslides happened. I certainly wouldn’t want to be here in bad weather, or on windier days. We agreed that going down was our best option, and began our slow descent. It was indeed harder, and I was even more thankful for the presence of trees and roots for extra support. I’ve also realized in my time hiking here on Oahu how thankful I am that there isn’t poison ivy or oak on the island. I rely on and touch plants all around me while I walk on these steep and precarious trails, and it’s nice to know I won’t pay for it later! When we finally made it passed the steepest parts and came back into the clearing, I stopped to savor the views some more, because they alone made this failed hike worth it. 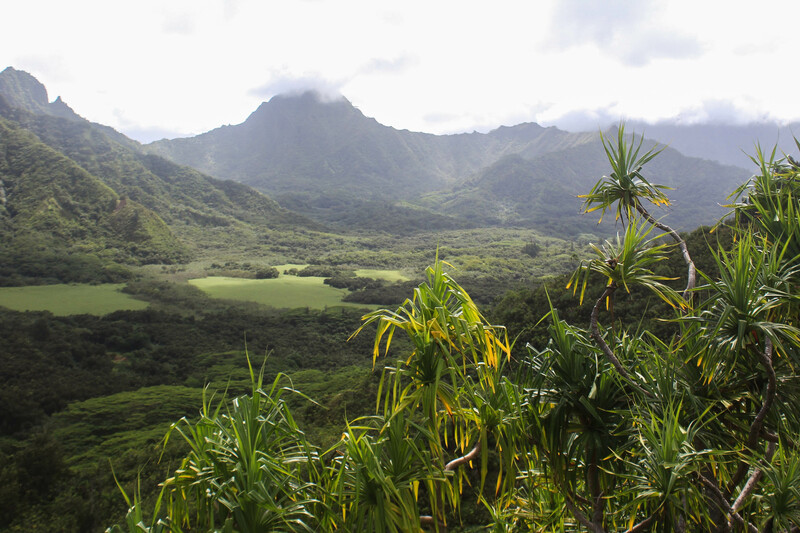 I especially enjoyed the views inland, where Pu’u Piei, Pu’u Manamana, and the Kualoa Ridges meet the Ko’olau Mountains and there are no signs of cities or tourists. Just green as far as the eyes can see — some farmland, but still all green and beautiful. All throughout this hike, we had great views of Crouching Lion, a popular hike that we did last December. However, this hike is technically illegal, and since then I’ve heard of police officers hanging out and issuing tickets. There have also been many rescues, both from people hiking Crouching Lion and the much higher and more dangerous peak, Pu’u Manamana. I had really been hoping that Pu’u Piei would be a great hike that was both legal and safer than those hikes with equally impressive views. This is why I was so disappointed that we weren’t able to finish it. Honestly, I am not sure why this one is considered legal when it is very similar to Crouching Lion, with the main difference being it’s about 2 miles longer. We opted to take a side trail to avoid the muddiest part of the trail and ended up on the highway. 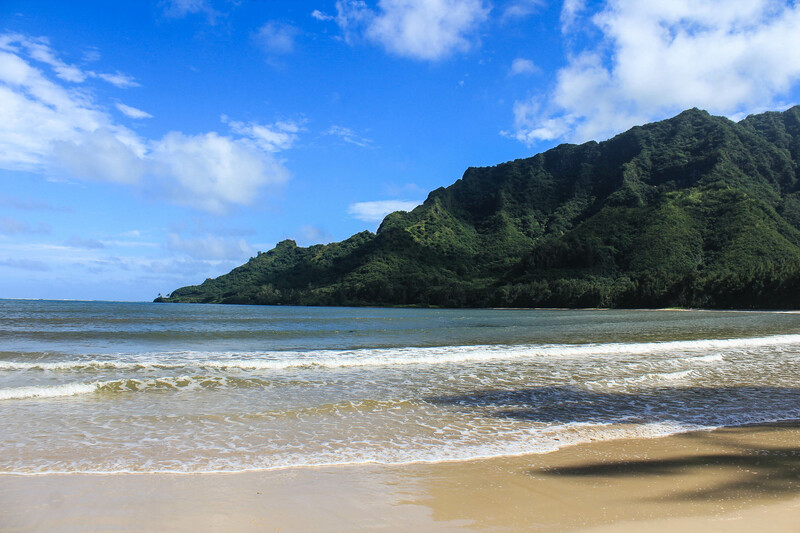 I requested that we cross over and walk along the beach of Kahana Bay rather than the road, and this also ended up being one of the highlights of the hike. Having these tall, impressive mountains on either side of the bay makes for gorgeous views. 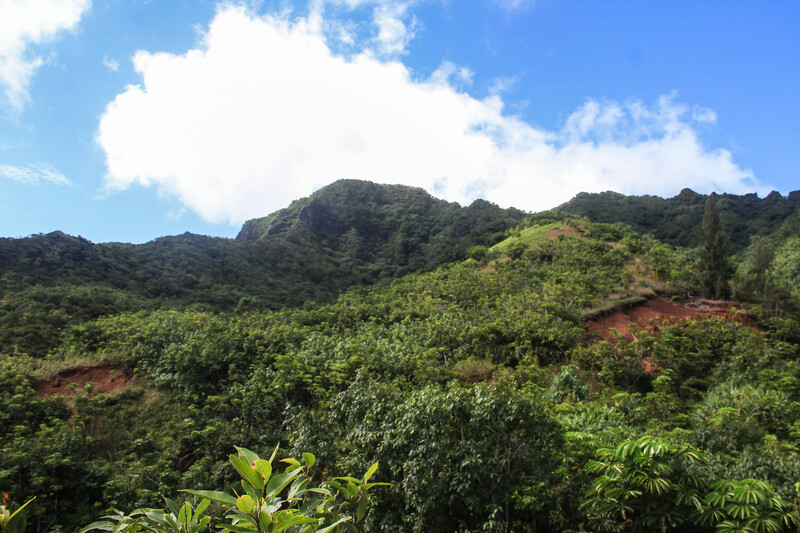 If you’re interested in learning more about hiking Pu’u Piei, you can visit the AllTrails listing here. 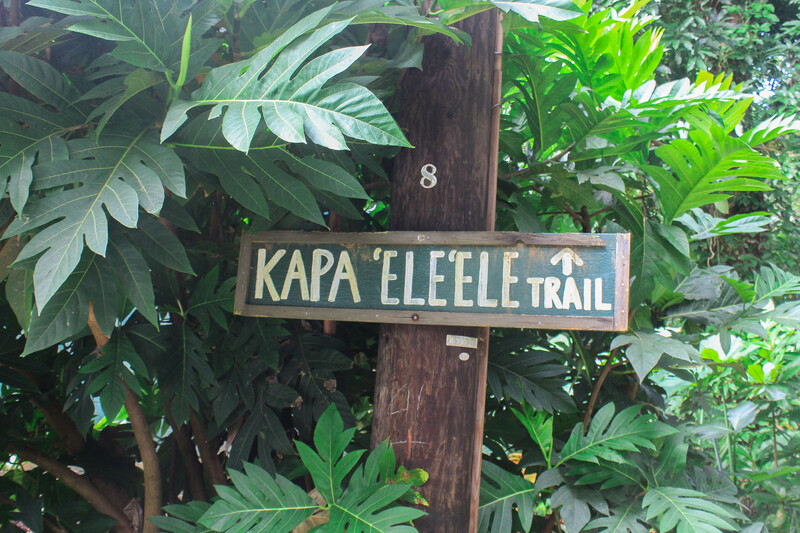 This hike is also mentioned in Stuart Ball’s book, The Hiker’s Guide to Oahu (affiliate link).